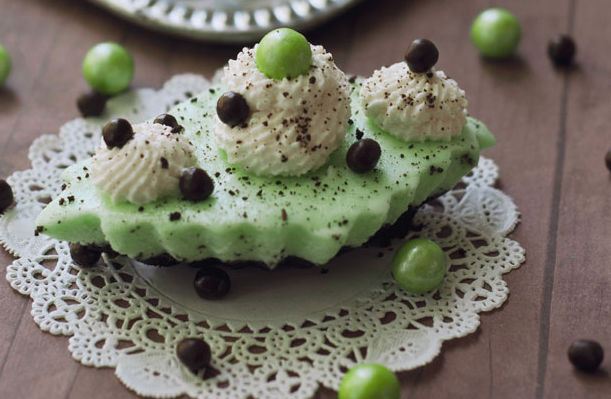 Sweetened whipped cream and chocolate shavings. Crumble about half the cookies into fine crumbs to make 2 cups cookie crumbs. In small bowl, mix cookie crumbs and melted butter. Place foil baking cup in each of 18 regular-size muffin cups. 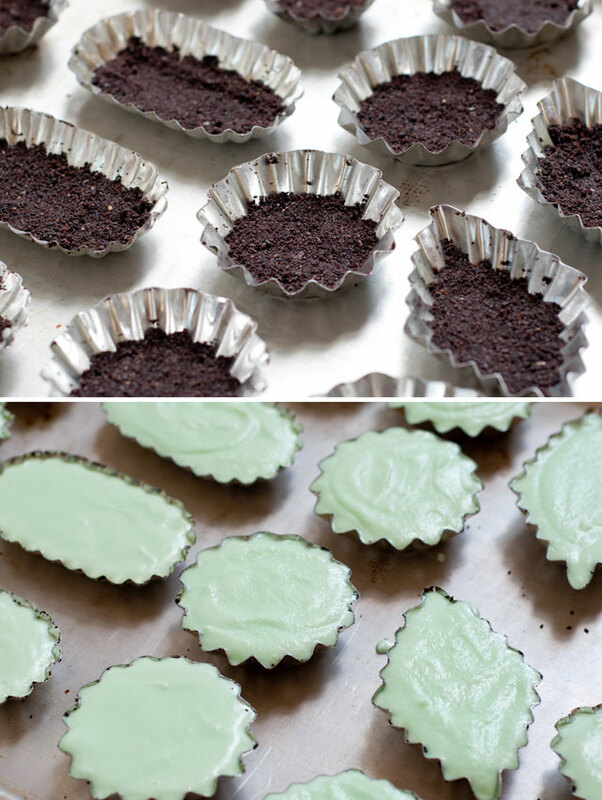 Press about 1 tablespoon cookie mixture in bottom of each baking cup or use tartlet molds. Reduce oven temperature to 300°F. Bake 5 minutes. In large bowl, beat cream cheese and sugar with electric mixer on medium speed, scraping bowl frequently, until smooth and creamy. Add eggs, one at a time, beating until smooth after each addition. Stir in liqueur. Pour about 1/4 cup of the filling on top of each of the cookie crusts. Bake 20 to 22 minutes or until edges are set and centers are still slightly jiggly. Turn oven off, and open door slightly. 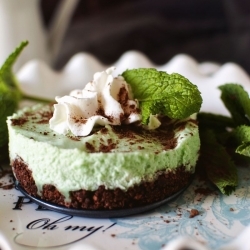 Cool cheesecake in oven 30 minutes. Remove from oven to cooling rack; cool at room temperature 30 minutes. Refrigerate about 2 hours or until cheesecakes are chilled. Top with sweetened whipped cream and chocolate shavings. Enjoy! This Mother’s Day make your mom something special. It won’t take very long but it will melt her heart, just like when you used to give her homemade Mother’s Day gifts as a child. 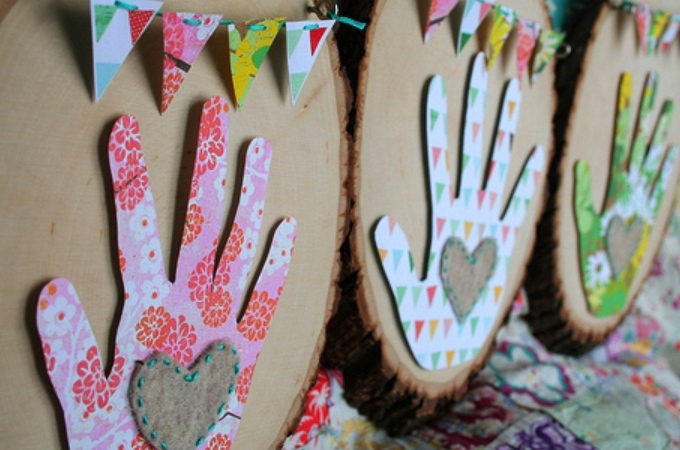 What Mother wouldn’t love and handmade gift from the heart? This recipe should be a winner. Bake until the sides are firm and the centers are soft, about 13 minutes. Let stand 1 minute. 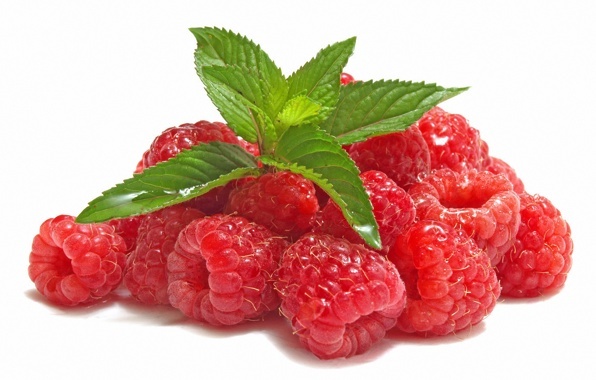 Invert on individual plates while warm and serve with whipped cream raspberries and mint leaves. Enjoy with your Mom! If you are not able to be with your for Mother’s Day click here (Cocoa Mill) for some fabulous handmade chocolate gifts to be sent right to her door that includes a handwritten note from your heart to hers. Ever wanted something awesome and sweet but when you go to look in the cupboard or the fridge… nothing. Then you get that sinking feeling in your stomach that you will have live the rest of the day unsatisfied? Well this is a quick and easy way to fix that. NO preheating the oven and getting the whole kitchen dirty. Seriously all you need is a spoon, a large coffee mug, a couple of ingredients and a microwave. 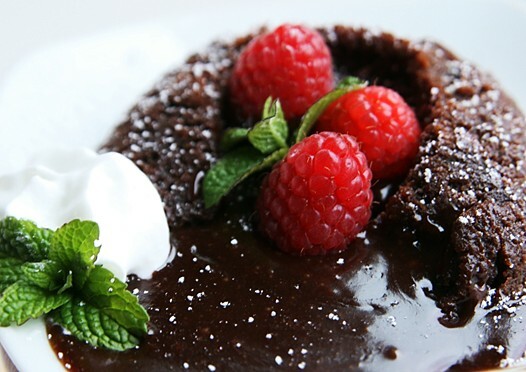 Whisk 1/4 cup flour, 5 tablespoons sugar, 2 tablespoons cocoa powder, 1 egg, 3 tablespoons milk, 3 tablespoons vegetable oil and a dash of vanilla extract and salt in a large mug until smooth. Stir in some chocolate chunks Microwave until puffed, about 2 minutes. Let cool for a minute and top it off with whatever you like, strawberries, whipped cream, chocolate syrup or anything else you can think of. Enjoy! I found this cake on Pinterest and hunted down the recipe. 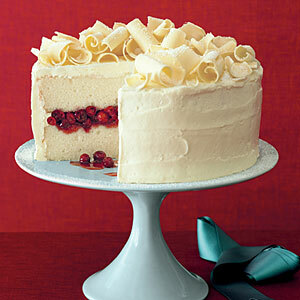 Oh my goodness this Cranberry Snow Cake exudes elegance and decadence. The colors of this cake make you feel warm and cozy at the same time representing the beauty of the Holiday Season. Preheat oven to 325°. Butter two 9-in. cake pans; set aside. 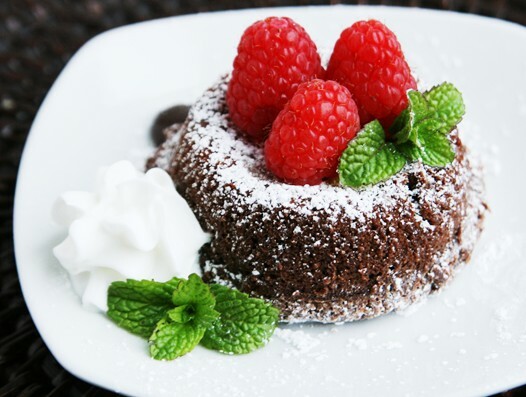 Make cake: In a large bowl, sift together flour, baking powder, and salt. Set aside. In the bowl of a stand mixer, beat butter and sugar together on low speed until light and fluffy. Add egg whites in 3 batches, scraping inside of bowl as needed. Beat in flour mixture in 5 batches, adding 1/4 cup water after each addition (you will begin and end with flour); make sure flour is completely blended each time before adding water. Pour batter into prepared pans, dividing evenly. Smooth tops with a spatula. Bake until center of cake feels firm to the touch and a toothpick inserted in center comes out clean, about 40 minutes. Cool cakes completely in pans on a rack. Meanwhile, make cranberry filling: Combine 3 cups cranberries, the sugar, preserves, and 1/4 cup water in a small saucepan and cook over high heat until cranberries pop and preserves melt, 5 to 10 minutes. 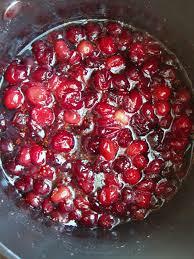 Add remaining 3/4 cup cranberries, stir to combine, and remove from heat. Transfer to a small bowl and chill until ready to assemble cake. Make butter-cream: Fill a 2-qt. pan with about 1 in. water and bring to a simmer over low heat. 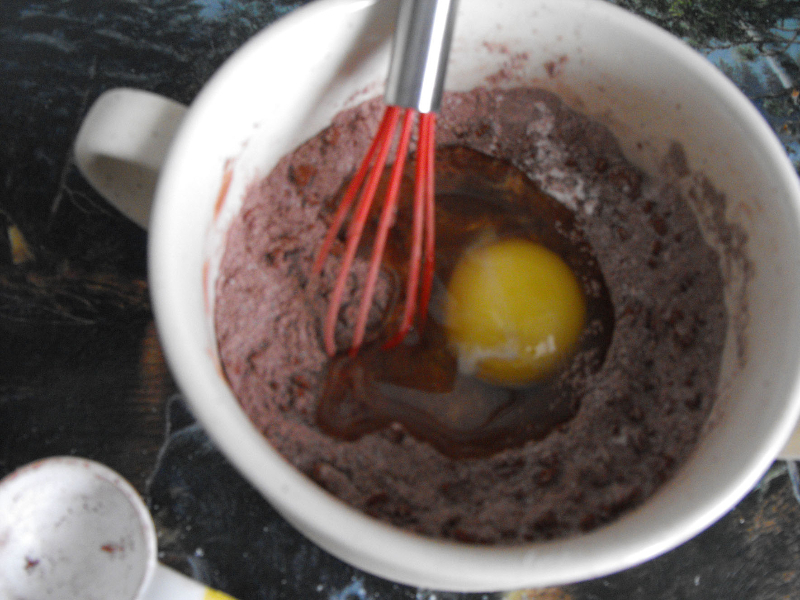 Put egg whites, salt, and sugar in the bowl of a stand mixer and whisk to combine. Place bowl over hot water, making sure bottom of bowl isn’t touching water, and heat whites, whisking constantly, until hot to the touch, 3 to 5 minutes. Remove pan and bowl from heat. Put bowl of warm whites on the mixer and whisk on high speed until tripled in volume and side of bowl is cool to the touch, about 10 minutes. Meanwhile, chop 4 oz. white chocolate, put in a medium metal mixing bowl, and set in same pan of warm water off the heat to melt slowly, stirring occasionally. Remove bowl from pan and let cool to room temperature. 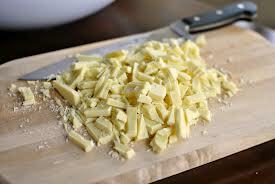 Reduce mixer speed to low and whisk butter into whites, about 1/4 cup at a time, until incorporated. Continue to whisk on low speed until smooth and fluffy, about 10 minutes (mixture may look grainy at some point but will come together). 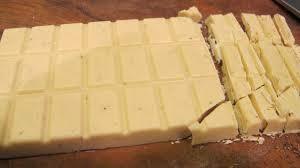 With a rubber spatula, gently fold melted chocolate into butter-cream until completely combined. Assemble: Rub tops of both cakes gently with your hands to remove browned outer surface, then carefully invert cakes and rub undersides so that cakes are completely white. Place 1 cake layer on a cake stand or serving plate, top side up. Using a pastry brush, brush top with half the liqueur. Spread about 1 1/2 cups cranberry mixture over layer with a metal spatula, leaving a 1/2-in. empty border around edge. Place second cake layer on top, flattest side down, and brush with remaining liqueur. 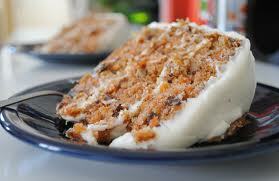 Spread top and sides of cake with a thin layer of butter-cream to seal in crumbs and chill 30 minutes. Cover with remaining butter-cream, starting with the sides and covering the top last. Use the palm of your hand to warm remaining chocolate. 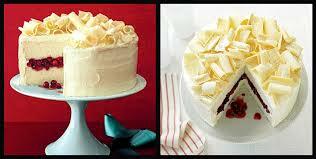 Shave smooth side of chocolate bar with a vegetable peeler to make thin curls; scatter curls over cake’s top. Sift powdered sugar over cake. Serve with remaining cranberry mixture on the side. Make ahead: Baked cake layers can be wrapped in plastic and stored at room temperature or in the fridge up to 2 days ahead. Cranberry filling can be made up to 2 days ahead and chilled. Bakers’ tip: To make a pure white cake, use your fingers to rub off the browned surface of each layer before assembling. 1. Preheat the oven to 350°F. Grease and flour two 9-inch cake pans, and line them with parchment paper circles. 2. Place the stout and butter in a large, heavy saucepan, and heat until the butter melts. Remove the pan from the heat, and add the cocoa powder. Whisk until the mixture is smooth. Set aside to cool to room temperature. 3. Whisk together the flour, sugar, baking powder, and salt in a large bowl; set aside. 4. In a large mixing bowl, beat together the eggs and sour cream. Add the stout-cocoa mixture, mixing to combine. Add the flour mixture and mix together at slow speed. Scrape the sides and bottom of the bowl, and mix again for 1 minute. 5. Divide the batter equally among the prepared pans. Bake the layers for 35 minutes, until a cake tester inserted into the center comes out clean. Remove the cakes from the oven and cool on a rack for 10 minutes before turning the cakes out of their pans and returning to the rack to finish cooling completely before frosting. 6. Make the Frosting: In a mixing bowl, blend together the cream cheese, butter, and Baileys Irish Cream on medium speed until completely smooth and combined. Gradually add the powdered sugar on medium-low speed until it has all been added. Increase the speed to medium-high and beat until the frosting is smooth and thoroughly mixed. Use immediately. You can refrigerate the frosting, but it will need to be brought to room temperature before using. This yields enough frosting to fill the cake and frost the outside, and do some basic decorations. *Note: If the finished frosting is a little soft for your liking, you can add more powdered sugar, a tablespoon at a time, until you reach the desired consistency. 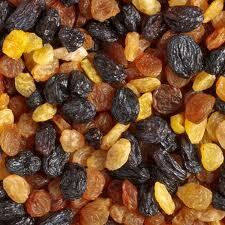 Since starting the Summer Sweets Recipe Series I have started getting a lot of requests for my next recipe experiment. This one is for my husband: German Chocolate Cake. I will say I was a little hesitant to make this cake, I thought it would be very labor intensive and difficult to make. It is not difficult make, there are however several steps involved in making this cake. It was well worth the time. 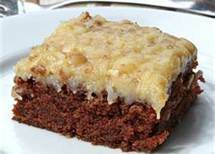 This German Chocolate cake is very moist with a very rich grown up flavor. The quality of the chocolate used plays a big factor in this cake. I recommend a bittersweet chocolate for a decadent chocolate experience. 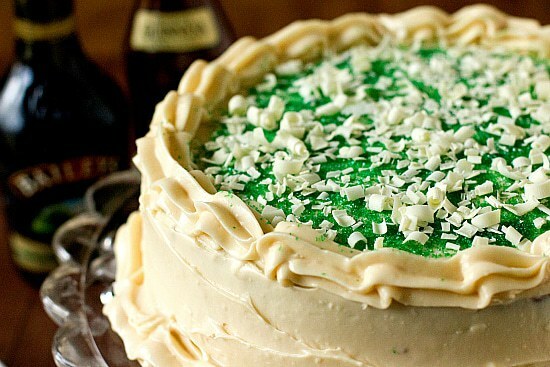 The caramel coconut icing is just heavy enough to lock in the moisture of the cake, and the sweetness of the icing intensifies the chocolate flavor while the bittersweet chocolate balances the sweet icing and the richness of this cake. This recipe does make a rather large cake, plan on three layers or a large sheet cake. I hope you enjoy this cake as much as my family has! 2. 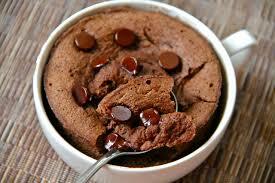 In a double broiler heat the water and chocolate until melted and well blended. remove from heat and set aside to cool. 3. In a large bowl cream together the butter, vanilla, granulated and brown sugar until well blended. 4. Scrap the bowl and add the egg yolks. Add the melted chocolate and the 1/4 cup of coffee until throughly blended. 5. Add the flour, baking soda, and salt, blend again. 6. In a separate bowl beat the egg whites until stiff peaks form. Very gently fold the egg whites into the batter until well blended. 7. Pour the batter into 3 greased 9 inch cake pans. Bake in for about 30 minutes or until a toothpick inserted in the middle comes out clean. 8. After baking time is up remove the cake from the oven and allow to cool completely before frosting. 1. in a large saucepan over low heat add egg yolks, evaporated milk, white and brown sugar, vanilla, and butter. 2. After the butter melts raise the heat to medium low, stir constantly for ten minutes. 3. Remove from the heat and add the coconut and pecans (or salt). 4. Cool before frosting the cakes.